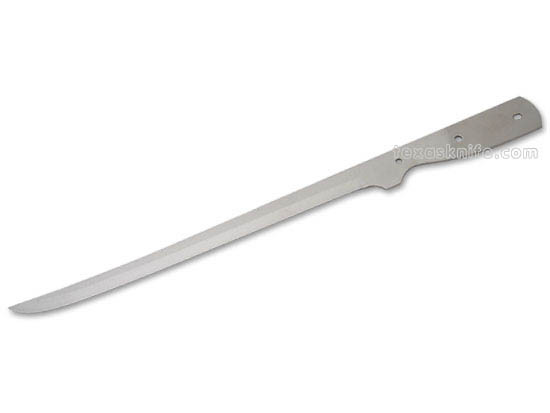 CRYOGENICALLY TEMPERED to -3050F, high carbon stainless steel blade. 16" overall length, 1/16" thick with 10-1/2" cutting edge. Blade is 3/4" wide. Use three 5/32" pins. Satin finished and hollow ground. Sure to help out with those bigger than average fish. Use extra long SHEATH #SHE-TEX. 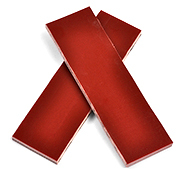 G10 -Red Scales- 1/4" X 1-1/2" X 5"